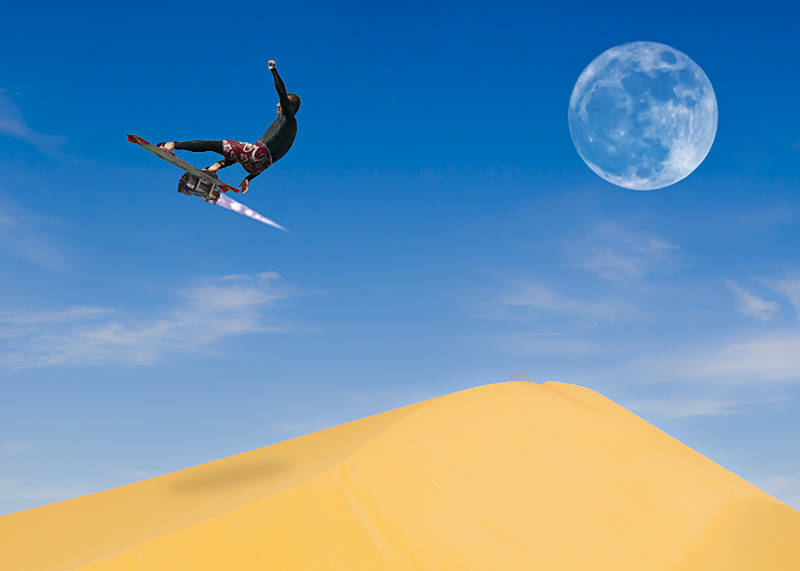 This jet surfer is a composite of four images. The desert dunes of western Egypt, A kite surfer from Dahab, The moon from an earlier post and a methane engine I found on this site. Unlike the last composite these images did not need as much adjustment as the lighting conditions were similar. The dunes did need their tonal range increasing. This was done by increasing the contrast to 100 and moving up the black point in Camera RAW. To compensate for the black point shift the Exposure also needed to be increased.